Ville is a folding bicycle designed by american designer hyuk-jae chang that transforms into a shopping cart. The design recently won a bronze prize in the 2010 idea design awards. 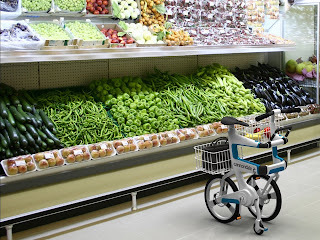 The unique design looks like a standard folding bicycle with baskets on the front and the rear. 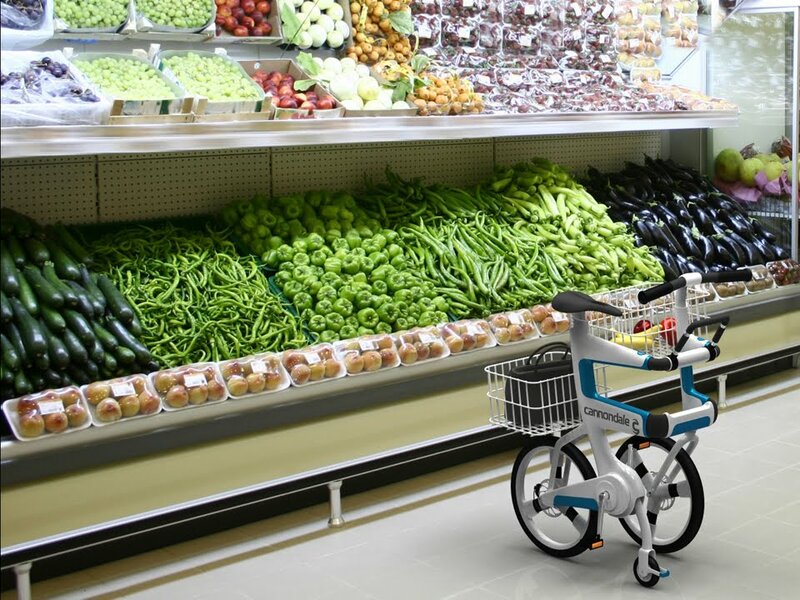 Once folded the design transforms into a rolling shopping cart, perfect for going to the grocery store. 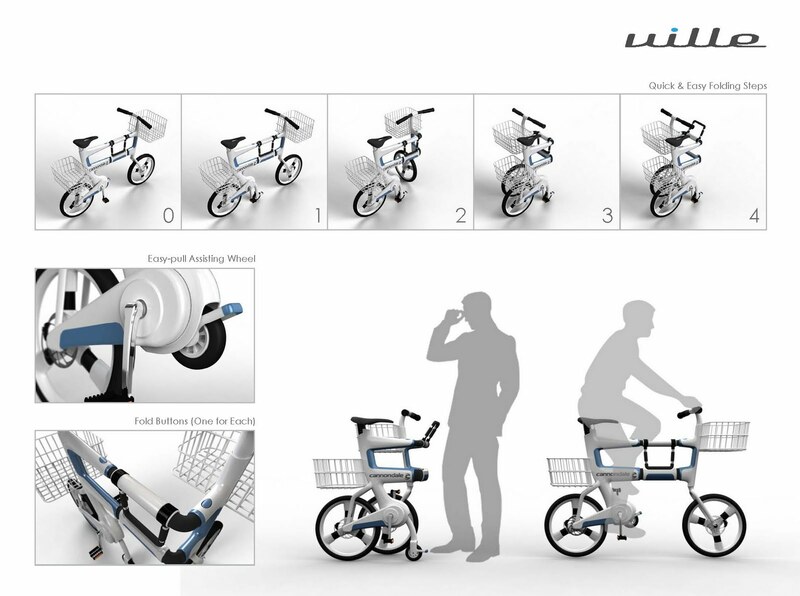 The bike even has a handle and mini wheel with a small brake when in the folded position.